One of my besties recently introduced me to the world of Snapchat and Bitmoji, and despite the learning curve, I’m enjoying the hilarious expressions and images I can send. Today I helped Mama create a custom cartoon for her as well. I installed the Bitmoji keyboard on each of our phones and we had a good laugh sending each other funny messages. I created a mashup of our avatars for a Bitmoji family portrait. 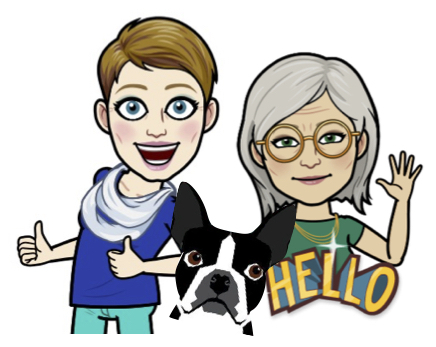 Today’s #OneGoodThing was some Bitmoji family fun. Plus, this adorable portrait is now featured in the #OneGoodThing by Nosy Parker Facebook page! Day 36 of 365. And Day 767 in a row (here’s the first 366 & the following 365)!